Great leaders often have humble beginnings. Many start their careers in front-line positions, but through hard work and passion for the mission, they rise through the ranks of senior living—an industry rich with plentiful opportunities for advancement. Along the way, they learn some important lessons too. Take, for example, Lisa Fordyce. She is currently chief operating officer at Senior Lifestyle Corporation, a Chicago-based senior living company with more than 170 communities in 26 states. But she traces her success to the start she got in high school when she took a caregiving class. The curriculum included work at a nursing home where she learned how to properly bathe, dress, and groom residents. “We spent a lot of time caring for the residents,” said Fordyce, reflecting on her first job in the industry. She got to know the residents well and realized they had a lot of wisdom about life to share, something she had also learned growing up in a household where her grandparents were an integral part of the family. “You know you’re making a difference when you are taking care of people in their last years,” she said. Promotions and new opportunities soon followed as Fordyce became regional director of operations at several different companies. She then joined Emeritus (purchased by Brookdale in 2014) where she worked for ten years as vice president of operations. She joined Senior Lifestyle in 2014 as senior vice president of operations, and was promoted to her current position in February 2016. Fordyce’s story highlights two important lessons. 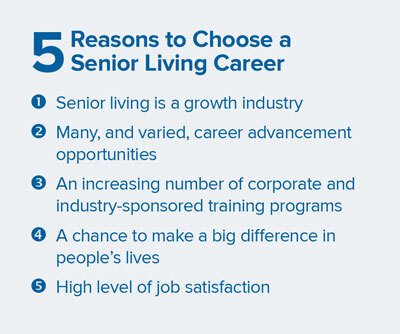 Rising through the ranks can create great leaders, and the senior living industry offers many opportunities for advancement for those willing to take on the responsibility. In fact, staffing is one of the biggest challenges facing the industry. According to the Bureau of Labor Statistics, more than 1.3 million new paid caregivers will be needed to meet demand over the next decade as the senior population swells. Kenny himself has spent his entire career at LCS. His mother suffered a stroke when he was in college and it was during that time that he was impressed by the care and compassion of the people who cared for his mother in a nursing home. In 1979, he read an article about LCS, which was building a continuing care retirement community, and he was struck by the concept. He wrote the company a letter expressing interest in a job and was hired as a trainee in the administrative training program. From there, Kenny moved up through the company as an assistant administrator and then as an administrator, or executive director—gaining valuable hands-on experience as he moved from property to property. He assumed responsibilities as a regional director for LCS, and in the early 1990s, he was promoted to run operations for LCS from its headquarters in Des Moines. 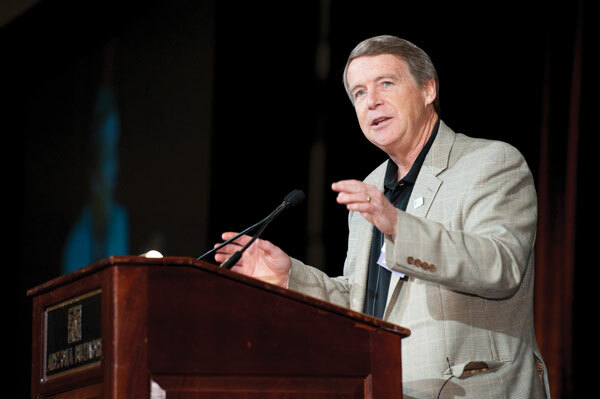 In 2006, Kenny became the company’s chief executive officer. The arc of Kenny’s long career has taught him that the senior living industry provides a great variety of different opportunities. For example, executive directors are in big demand today as the industry expands. There are many opportunities for those willing to grow and take on added responsibilities as an executive director, he said.The need is also growing for savvy real estate developers with seniors housing experience. Market research is another area where new jobs are emerging as providers seek to understand the needs and wants of consumers. Asset management expertise is in demand, as owners and investors seek out managers who understand buying and selling real estate. Another plus, Kenny noted, is that managers who come from real estate companies that specialize in retail or multifamily properties often find senior living a much more rewarding career. “They enjoy the personal aspects of senior living and the opportunity to engage with residents,” he said. Wilson Anhar definitely agrees. He had spent 19 years in the hospitality industry when, by chance, he was introduced to the concept of assisted living. He was working as a hotel manager and met with representatives of an assisted living company holding a conference at his hotel. “I was fascinated by what they did,” said Anhar. 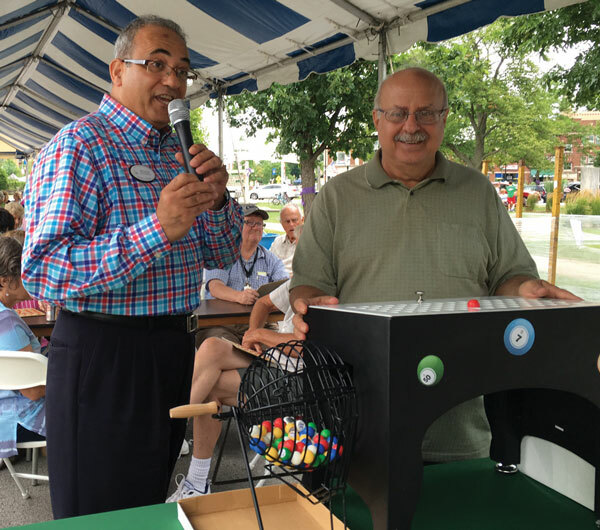 Wilson Anhar, executive director of The Arbor Company’s The Summit of Uptown, calls bingo at a community event. He stayed in touch with his customers and six months later, in 2004, they asked him to become the executive director of a Brighton Gardens property in Paramus, New Jersey. “I never looked back,” said Anhar. As his career progressed, he worked as an executive director at a property in Seattle, Washington and is currently executive director of The Summit of Uptown, a community in Park Ridge, Illinois, managed by The Arbor Company. Other industry leaders credit their deep connection to the work for their enduring career success. Maria Irlinger’s first job in high school was working in dining services in a nursing home. “It was an omen,” said Irlinger, senior executive director at Georgian Manor, a Commonwealth Senior Living community. Surprisingly, senior living was not her first job choice. She auditioned to join the Rockettes dance troupe in New York City and had wanted to open a dance school. Her parents didn’t approve, so she worked on Wall Street and, after a move to Virginia, she got a job at a retail store. But one night, about 22 years ago, after working a long shift at the store, her car broke down near an assisted living community and the nurse there helped her out. When Irlinger returned the next day with a plate of brownies as thanks, she ended up talking to the office manager for two hours. Irlinger was hired on the spot as the community relations specialist and was soon promoted to head of sales and marketing. She then moved up to assistant executive director and after that became the community’s executive director. She took her current position in 2014. Denise Fasano is so in love with what she does that she’s “gushy” about senior living. Fasano is the executive director at Greenfield Senior Living at Cross Keys in Glassboro, New Jersey. She had previously worked as an administrator at an adult day center before moving into a marketing position at a senior living community. She has managed the Cross Keys community for nine years. 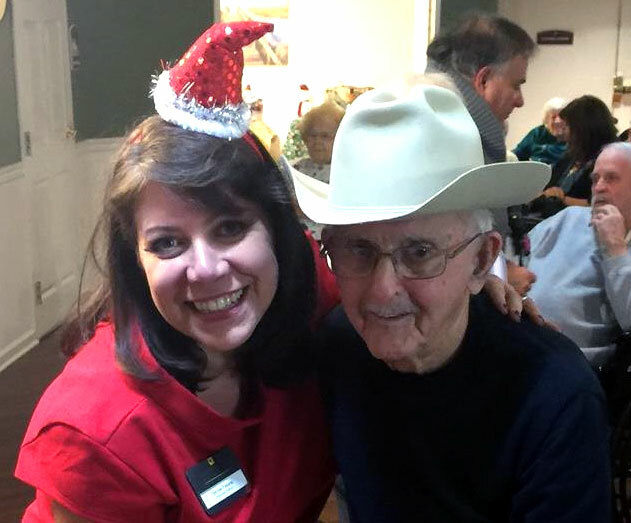 Denise Fasano, executive director at Greenfield Senior Living at Cross Keys, dances with a resident at a holiday gathering. “There is no bigger honor than to take care of an elder whether the person is with us for seven days or seven years,” she said. From her perspective as an executive director, Fasano believes the industry offers many different career paths. One of her staffers thought he wanted a career in food service, but decided to return to school to become a physical therapist. “There is a lot of opportunity,” said Fasano. Opportunity is the word that best describes the career path of Rich Heaney, regional director of operations at Brightview Senior Living, based in Baltimore, Maryland. He started his career as an emergency medical technician and then went to nursing school and worked at a nursing home. His first management position came in 1994 as a director of community relations with Marriott, which had recently launched a senior living division. In 1999, he was hired by Brandywine Living as executive director of the company’s first purpose-built assisted living community. “We filled the community in six months,” said Heaney. He quickly worked his way up the corporate ladder. He was promoted to senior executive director, regional director, vice president of operations and sales, and then senior vice president of operations and sales. He credits much of his success during that period to the leadership of Brandywine chief executive officer Brenda Bacon. “She made me understand that yes, we are a business, but a business of caring for people,” said Heaney. Heaney encourages those who want to advance to participate in training programs. Brightview offers courses for company associates through its internal Brightview University. The company also offers an individualized development plan or IDP, so associates can create their own career paths. For example, an associate working as a concierge filled out an IDP with the aim of becoming an office manager. She is well on her way now toward meeting that goal and was recently named associate of the year for the entire company. “It’s important to show an eagerness to participate,” said Heaney. Irlinger at Georgian Manor agrees. “Speak up,” she said. “Let us know your goals and aspirations.” She suggests shadowing managers on the job. Find out what it’s like to be a business office manager or director of nursing. “Be a part of the team,” she advised. Education is key to success, according to Anhar at The Summit of Uptown. He encourages executive directors to earn the Certified Director of Assisted Living (CDAL) credential. The voluntary program was developed by the Senior Living Certification Commission. 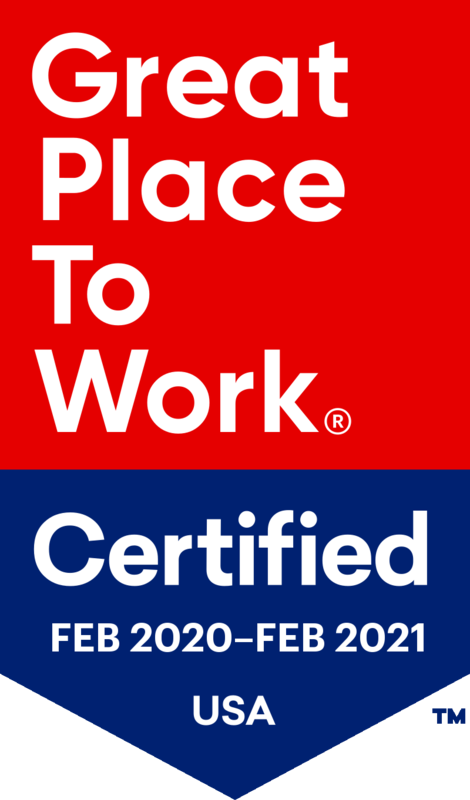 The certification demonstrates attainment of consistent, relevant, measurable, and industry-recognized standards of practice in the assisted living executive director role. “Education, education, education,” said Anhar, emphasizing the importance of industry training. State health care and senior living associations offer many professional development opportunities. “Get involved on their committees and boards,” advised Kenny at LCS. LCS is in the process of creating a non-profit foundation, and one of its functions will be to provide scholarships for students in schools that have or are developing a curriculum in senior living. “We want to encourage people to pursue the profession and support them in that effort,” said Kenny. He expects the first scholarships to be available in fall 2017. Senior Lifestyle’s Fordyce emphasizes the importance of on-the-job learning. She didn’t go to school to become a building operator or attend business classes. But through her lifelong career she learned how to become a leader by interacting with co-workers and customers, and by finding mentors to model. Her best advice: invest in yourself.